The name of your business is the first opportunity to make an impression. The name itself gets people thinking. Yes or No? 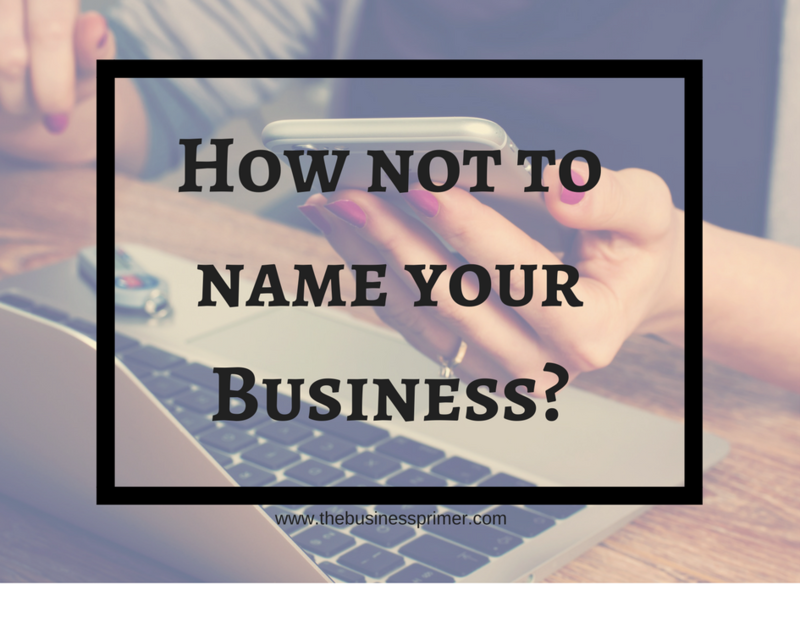 Today, naming your business is not just about naming it. It is also about getting the right domain name without agony. Are you feeling hopeless about coming up with a good name for your company? Do you have a name but the domain is, sadly, taken? Fret not, you can still have a fabulous name with just a little bit of reasoning. An already registered domain makes the process even more painstaking, I know! Now that you are here, throw your fears out of the window. There is an effective solution to this seemingly nerve-wrecking task. I am going to walk you through few easy steps to come up with the best name for your brand. The procedure is simple and painless. When I was thinking of a name for my business, I was in the same boat. After unproductive methodologies and sleazy names, I thought that I had lost the capacity to be creative. But it was only exhaustion and brain burn. You ARE capable of giving your company, the best name it deserves! To come up with a name for my venture, what I did differently was to brainstorm and strategize the hows of naming a business. 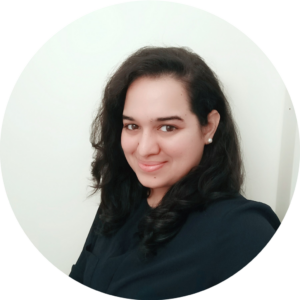 The systematic approach led to the name that signifies the very purpose of its ideation and incubation.The name had to reflect what I was doing. The below-given methodology will teach you how to arrive at a fabulous name. How you shouldn’t name your business! Let us say that there is an artist named Wilhelmina who makes incredible oil paintings. Her work is popular in her social circle. She decides to put up an eCommerce site to sell her paintings. She purchases the domain www.wilhelminaschwarzeneggerarts.com and sets up her art shop. Since her customers already know her name, they make the purchases. The sales boomed and Wilhelmina wishes to expand her business. She decides to organize an event to market her business. Things go well during the event, but no sales happen at the backend. What do you think would have gone wrong? Her business name! People are confused. They cannot remember. They abandon it. How do business names like www.wilhelminaschwarzeneggerarts.com come across as professional? They can’t. 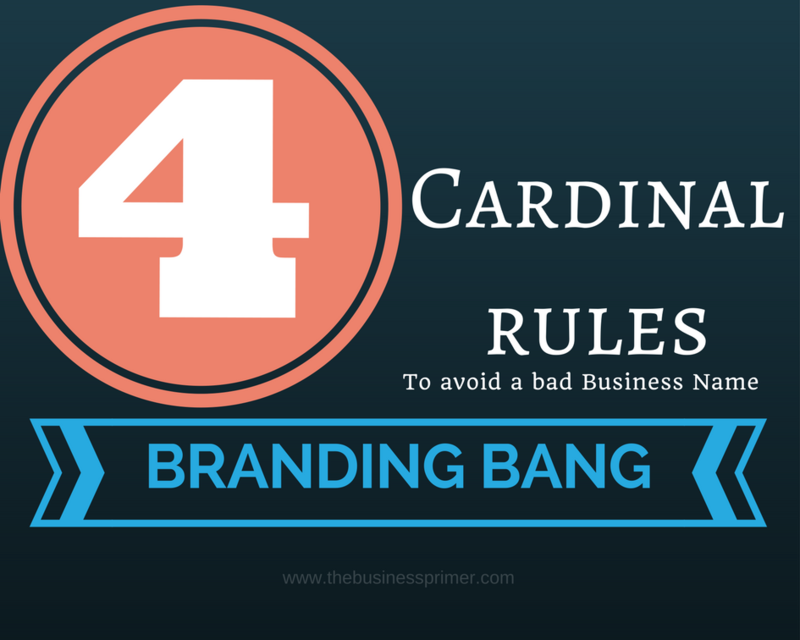 Always follow the four cardinal rules to check if your business name sounds professional and relatable. www.wilhelminaschwarzenegger.com is a very genuine domain. But, it fails three out of the four steps. It isn’t easy to pronounce. It can be misspelled. The name is definitely not easy to remember unless it is an already established name like Google or Yahoo (though they are strangely named). Self-branding can go wrong if you have an uncommon name. But here is the good news, you CAN have a much better name by brainstorming a little more. What do you identify your work with? What solutions are you providing under your services? How are you different? What is your value system? Who is your target audience? Make a list of keywords associated with your business. Make a table like the one shown below, with the system of words that matter to you as a business. This helps you soak in the raw muddle of ideas and come out clean with sharp annotations. Choose a couple of keywords you identified in the previous step and play around to generate name combinations. The best part about Lean Domain Search is that it also throws available domain name extensions for any given keyword. Since my company’s goals revolve around writing about ‘Business‘, I chose to put business as the keyword. After arriving at these factors, determine the ones that you best resonate with and search for synonyms. For example, in my case, “Creating helpful business-guides” is what stood out for me. If you see synonyms for “guide“, there are many words that mean the same and also sound better. 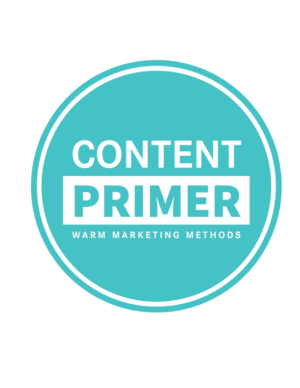 I chose ‘Primer‘ because it signifies the elementary principles. Getting to the foundation of your purpose brings clarity to your objectives. The manifestation of the basics of your business is the launchpad to your success. It helps you see your vision and mark your mission. It brings clarity to what your business is meant for. Choose words that elevate the power of your purpose and add magic to the name. I want my website to be the first point of reference for any business need in the coming days. Hence, the suffix ‘Primer‘ was achieved. So, I enter ‘businessprimer‘ as the keyword and the query throws thousands of arrays of options to choose from. Since businessprimer.com was taken, I prefixed ‘the’ to the name and arrived at ‘www.thebusinessprimer.com‘. The green names are the domain names that are available. Of course, not all combinations can be a good fit. It is up to you to choose or reinvent the best names. This is how The Business Primer was born! The name is easy to understand, easy to remember and doesn’t take forever to type. Plus, it means business! Always follow the fool-proof 4 cardinal rules and you will never have a bad business name. Once you decide on a name, let the name sit for two days. Let it sink in before you buy the domain name. You might come up with better alternatives. Zero in on to the best name and go buy the domain. Why don’t buzzwords necessarily make a good name? If you are someone who wants to add more jazz to your company name, you could follow this method to arrive at a spicy name. But, things can go wrong. For example, AnalTech is a technology-based company. Everything sounds good about the company till the buzzword is analyzed. The current day web filters may block the company due to the presence of such words. This was a gentle warning to help you choose the best name for your company. Did you find this useful? Do you have any questions? Comment below if you would like to brainstorm. Now, try this quick and easy formula to name your business and comment your new domain name below. Go!